The Kakolat waterfall has great historical and mythological significance. The waterfall is located near Govindpur police station, about 33 km away from Nawada, on Kakolat Hill. Below the falls there is a deep natural reservoir. The fall is approximately 160 feet (49 m) in height. The scene is panoramic due to all-round green forest area. Kakolat Fall is a popular tourist spot in Bihar. 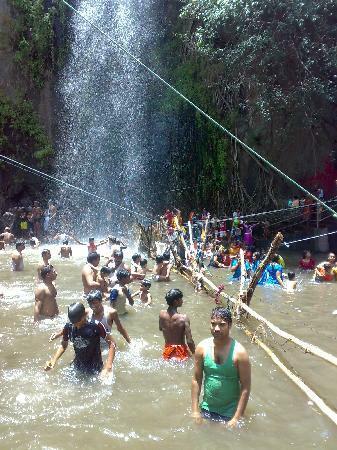 During the summer, people from all over India come to the falls for picnics.